I was thinking of a logo and a favicon for my blog and requested one of my friend to create one for me using the letters U & Y and what he came up was quite impressive. It took few minutes of learning and work and I finally uploaded it to my blog. Let me know your feedback about the Favicon and the logo. A favicon is an image or a small tiny icon that is associated with a particular Blog, Web page and/or Web site. 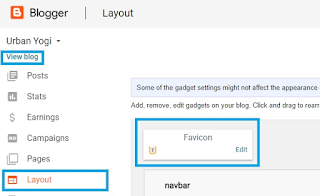 A favicon helps as a visual reminder of your Web site identity in the address bar or in tabs. I used this website (http://iconifier.net/) to generate the .ico extension images, which is quite simple and straightforward. 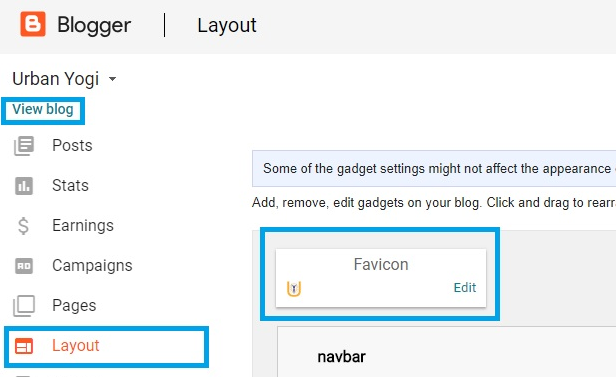 How to add a Favicon to your blogger blog? Firstly, you need an image that you want to use as a Favicon. You can use an existing image or create one by going to so many free or paid website. Go to Administration Screen > Layout > Favicon > Edit > Choose File > Upload > Save. And, then in the Layout section, Click the Save Arrangement Button to save your changes. Click on the View Blog link and your blog is displayed on a new Brower. There you can see your newly added Favicon being displayed. P.S: This applies to Blogs developed using the blogger templates. I am sure, the same holds good for others like WordPress etc. but, the navigation might be different. The Orange color of U needs to be little bit darker, I think.What do you reckon?.